Bill Gates is one of the wealthiest men on the planet. The Microsoft founder has thrown himself into charitable work in recent years. 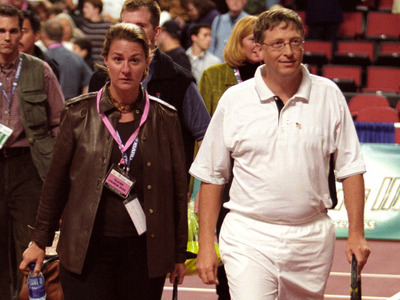 Gates and his wife Melinda run the philanthropic Bill and Melinda Gates Foundation. 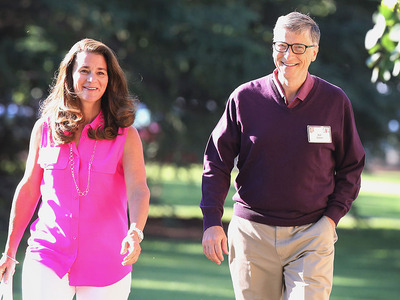 On Tuesday, the Gates Foundation released its 2019 annual letter, in which Gates and Melinda shared what they considered to be the nine biggest surprises of the past year. While running his foundation, Gates tends to have a pretty normal day: He exercises, catches up on the news, works out, and spends time with his family. Bill Gates is worth $96.5 billion, making him the wealthiest person on planet Earth, according to Forbes. What does one of the richest men in the world get up to all day? Since stepping down from the helm of Microsoft in 2006, Gates has thrown himself into the Bill & Melinda Gates Foundation, which donates money to research and charitable organizations. His daily routine is often quite busy and varied, as he travels the world and launches new initiatives. Gates claims to enjoy the chocolate cereal Cocoa Puffs, but his wife Melinda told Betsy Layne High School students that he usually skips breakfast. If he’s not traveling, Gates starts the day in this staggering Medina, Washington property. 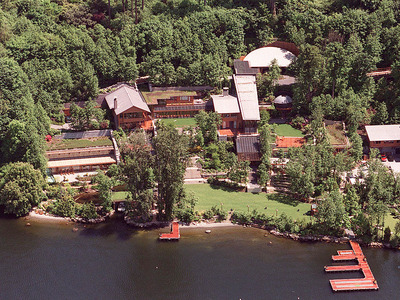 The mansion was estimated to be worth $124 million as of 2016. Back in 2008, Gates was known to work out on the treadmill after waking up, while “watching DVDs from the Teaching Company’s ‘Great Courses’ series,” according to the New York Times.